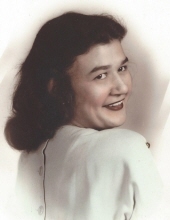 Mrs. Melba Hutto Price, 88, passed away peacefully in the comfort of her own home on March 25, 2019. Melba was born in Orangeburg SC of August 12, 1930. She was the youngest child of the late Lou Ella Hutto. She was the Valedictorian of Neeses High School where she loved to play basketball. Melba was a beloved Mother, “Grandma” and Great-grandmother. She loved being a homemaker and caring for her children and grandchildren. She was a devout Christian and she served the Lord with all of her heart. You could always find Melba in her yard gardening and enjoying God’s creations. She is survived by her son, Larry Price of Willliston; daughters, Deborah Price of Barnwell and Annette (Royce) Thompson of Winston-Salem NC; grandchildren, Laura Brochin of Spartanburg, Matthew Price of Mount Pleasant, Orry (Cortney) Grubbs of Barnwell, and Henry Thompson of Winston-Salem NC; great grandchildren, Will Brochin and Olivia Brochin of Spartanburg; Special friends, Ruby Aubert and Marie Campbell. She was predeceased by her husband, Henry Price; Mother, Lou Ella Hutto, brother, Warren J. Hutto and sister, Virginia H. Marlowe and daughter in law, Rose Ellen Price. Funeral services will be held on Friday, March 29, 2019 at 2pm in Ashleigh Baptist Church with Rev Jerry Fail and Rev .Charles Morris officiating. Burial will follow in the Barnwell Co. Memory Gardens on Reynolds Rd. The family will receive friends one hour prior to the services at the Church. The family suggest that memorials be made to the Samaritan’s Purse, PO Box 3000, Boone NC 28607. The Family would like to thank the Edisto Home and Hospice for the loving care shown to their mother. To send flowers or a remembrance gift to the family of Melba Hutto Price, please visit our Tribute Store. "Email Address" would like to share the life celebration of Melba Hutto Price. Click on the "link" to go to share a favorite memory or leave a condolence message for the family.